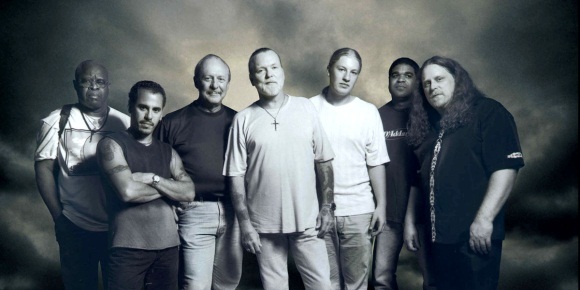 The Allman Brothers Band is an American rock band once based in Macon, Georgia. The band was formed in 1969 by brothers Duane Allman (slide guitar and lead guitar) and Gregg Allman (vocals, organ, songwriting), who were supported by Dickey Betts (lead guitar, vocals, songwriting), Berry Oakley (bass guitar), Butch Trucks (drums), and Jai Johanny “Jaimoe” Johanson (drums). While the band has been called the principal architects of Southern rock, they also incorporate elements of blues, jazz, and country music, and their live shows have jam band-style improvisation and instrumental songs. Warren Haynes and Derek Trucks have joined the band in recent years.